Oh, eldiem. Your man Gary must be one unhappy camper. Believe me when I say I mean him no disrespect when I giggle over UMBC (my alma mater) making the NCAA while Maryland goes to the NIT. Wait - and Duke's first game is in DC? That's just mean. I believe this is not new to Gary. Poor Gary. Ok I snickered as I typed that. I was not happy to see the lack of both of my colleges on the bracket. However, I'll definitely cheer for U Made a Bad Choice. NCAA tournament? Are you guys following NCAA women's hockey too? What a trip. How about that 5 and 1 Harvard making it to the semis! U Must Be Crazy! Or University of Maniacs Behind Cards, which we generally were. That Curry kid is amazing. I haven't enjoyed watching a college player that much since Danny Manning. 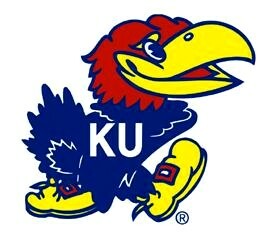 YOUR NATIONAL CHAMPION KANSAS JAYHAWKS!!!! Ok, that's the last time I'll bring it up. Hey! That means I won both of my pickems! w00t! Almost 20 years to the day. I remember last time...campus went wild, people were throwing beer bottles...the Campanile had a blue light, the only time I saw it as such. Me too! Except I only had one to win. MSU lost to Butler. Jon Stewart must be disappointed. According to the monitor website, there isn't a riot in town at the moment, though. I was hoping the shop would make it through unscathed. And we're actually closed tomorrow, so I really didn't want to have to go in to fix stuff or clean anything up . . . .
My Mother, Father and Sister went to Butler. I've got the Rocky Horror "That's why they call ...." stuck in my head thanks to Butler. And the best NCAA game comes to us from . . . Spain. Farking hilarious sports announcer, too.